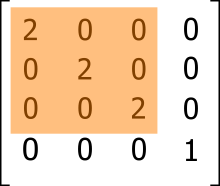 This matrix is called identity matrix, a matrix with ones on the main diagonal, and zeros elsewhere. If a matrix will be multiplied by the identity matrix, it won't change anything: the resulting matrix will be the same as it was before multiplying. 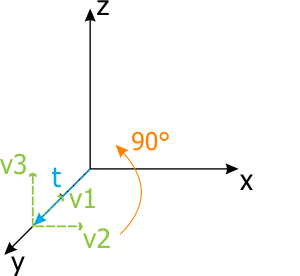 The order of matrix transformations (scaling, rotation and translation) is very important. Here is an example which demonstrates different positions of the local origin related to the world origin. 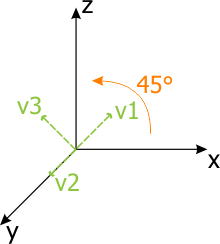 On the left picture, the local origin was translated first and then rotated; on the right picture, the local origin was rotated first and then translated. 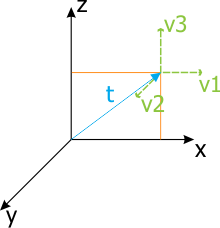 All values (rotation angle, translation vector) are the same, but the result is different. 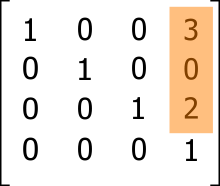 This example shows what happens if you choose another order of matrix transformations. 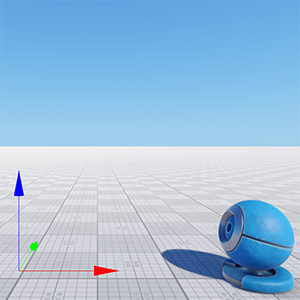 The code example below gets the material ball object. 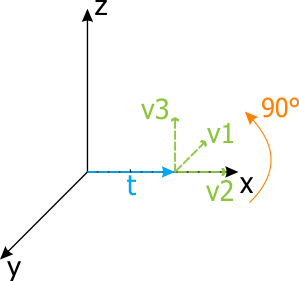 In the first case we use the translation * rotation order, in the second case we use the rotation * translation order. Another important concept is a matrix hierarchy. 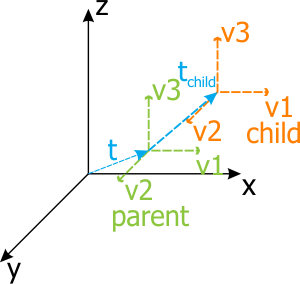 When a node is added into the world as a child of another node, it has a transform matrix that is related to the parent node. 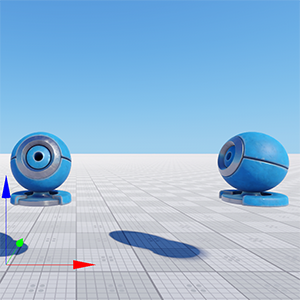 That is why the Node class has different functions: getTransform(), setTransform() and getWorldTransform(), setWorldTransform() that return the local and the world transformation matrices respectively. What is the reason of using matrix hierarchy? To move a node relatively to another node. 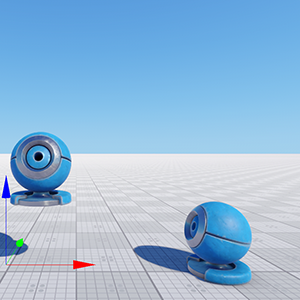 And when you move a parent node, child nodes will also be moved, that is the point. 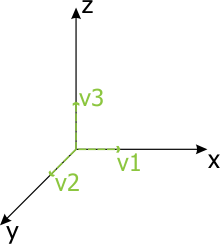 The following example shows how important the matrix hierarchy. 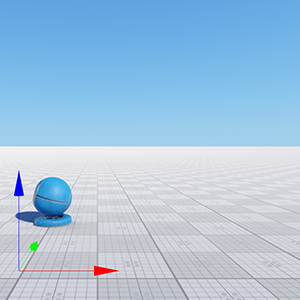 In the AppWorldLogic.h file, define the material_ball child and parent nodes smart pointers. 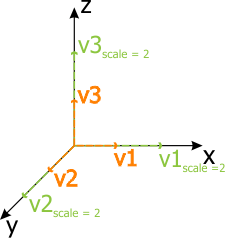 When nodes are independent they have different local and world transformation matrices. 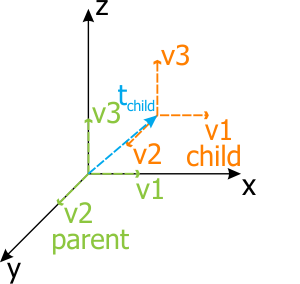 In case of parent-child nodes, the child's local transformation matrix after moving remains the same, but the world transformation matrix will be changed (you can check it by using debug profiler).